Portable gas detectors and monitors are the best instrument to advance the security of workers and inspectors during scheduled and response checks in wide range of fire dangerous and explosive situations with the risk of hazardous materials or radiation. They can be applied at plants, oil and gas stations, exploration, places of technological disasters, mines, building and constructions, for fire overhaul, during detecting toxic leaks, at public events and in crowded areas, both open and confined, and in many other situation, where the safety needs special attention. They can also help to control the environment and in-door air quality. 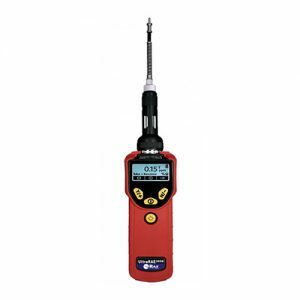 There are several different models of portable gas detectors. First of all they are divided on the principle of quantity and type of gas sensors they have. There are models with only one sensor programmed to detect single gas. They are effective in situation with well-known threat, usually they serve to protect personnel and the worksite from CO and H2S. Multi-gas monitors keep safety in mostly dangerous conditions. They can execute multiply tasks, have more than 30 sensor options, and protect from wide range of hazardous and dangerous elements. 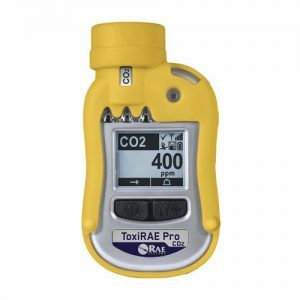 Such gas-analyzers are designed for complex indication of chemical and radioactive threats, they have advanced chemical sondes that detect several gases or vapors at once. Depending on the model, can include photoionization detector and nondispersive infrared sensor to signalize gases. Detectors can be diffusion and pumped. Pumped versions inlet air automatically when they are switched on. Diffusion monitors and detectors use the natural airflow, or, as a variant, can get sample manually with the help of aspirator or sample line. Handy and comfortable design, all models are easy to use, wearable, the screens are bright and can automatically flip for comfortable reading. Man-down alert, which provides the command center about man-down situations. Dust and water proof construction. Personal portable gas detectors and monitors or RAE family give timely and adequate information about ambient air. They have reliable systems of connection, do not need long preparation and installation. The calibration takes only one button push, and all models are bump tested. They are irreplaceable in the long list of industrial, military, catastrophic and every day situations.